The Legal Director, a legal consultancy which provides in-house lawyers to businesses on a contract basis, has become the first firm regulated by the Solicitors Regulation Authority (SRA) to use the Bar Council’s third-party escrow account. The SRA said in December last year that it had issued its first waiver allowing a firm to use BARCO, but the identity of the firm remained a mystery. The Legal Director describes itself on its website as “not like a traditional firm of solicitors” in providing services to clients “in a way that suits the provider’s business model” but not necessarily the client’s needs. Instead, the firm says it provides businesses with experienced lawyers on an “ongoing, but part-time or flexible basis”, acting as an in-house lawyer and “key member” of the senior management team. James Mallender, director of The Legal Director, said: “Using BARCO is a no-brainer for us because much of our work is in-house advisory. “Our clients can now use us for their financial transactions and, as we’re not handling their money, they have the peace of mind that their funds are completely secure. BARCO operates by holding client funds in a third-party Barclays escrow account and not releasing them until the work is completed. Charges are set at 2% of total legal fees and decrease on a sliding scale to 0.75%. 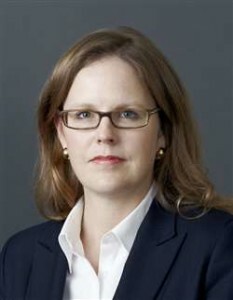 Chantal-Aimée Doerries QC, chairman of the Bar Council, said: “BARCO was originally set up for barristers who do direct access work – those that are qualified to take instructions directly from clients – and for barristers instructed by international clients and international law firms. The SRA said in December that it had three more requests to use BARCO in the pipeline from firms it regulated.